The Chain Wear Guide from Renold is a quick and easy way to measure chain elongation. You can clearly see that if your chain has reached or even exceeded the recommended limit of 2% wear extension then it is time for the chain to be replaced. Make sure that chain wear doesn't cause you problems like downtime, lost production and reduced profitability. 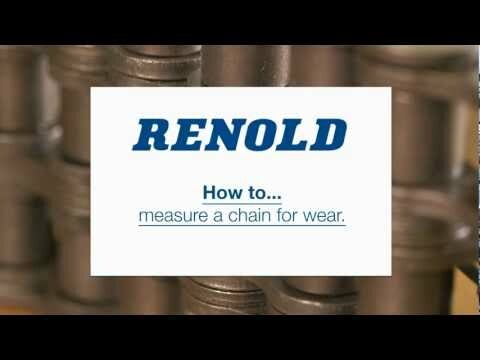 Watch our video on the right to see how to use the Renold Chain Wear Guide correctly. The Chain Wear Guide is free and available now. The Chain Pin Extractor from Renold Is a Quick and Easy Way to Cut Chain.